The Ecodharma Centre has established a new bursary fund to enable young people to take part in nature connection retreats. 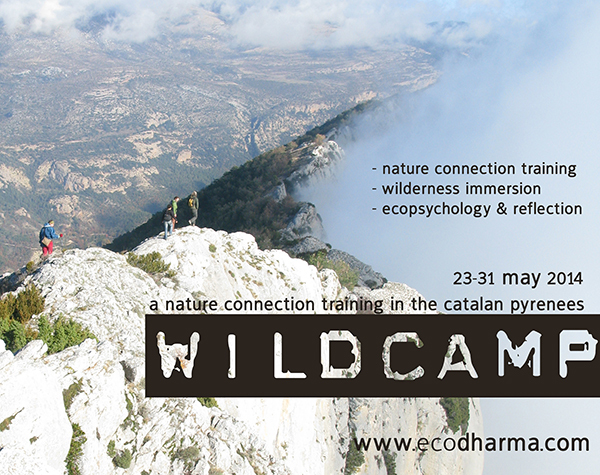 Awards are available from April this year to attend both the Ecodharma Wildcamp and the Meeting the Wild retreat. While the courses themselves are open to people of any age, the Nature Connection Bursary for Young People is aimed at those between 18 and 25. “These kinds of trainings can have a powerful impact on young people,” says Guhyapati. “They often incorporate rites of passage like phases, such as in Meeting the Wild, which culminates in a three day solo period out in the wilds. We have seen just how transforming these experiences can be.” While the courses are already very popular with younger people, the bursary aims to make it possible for a few young people who would otherwise be unable to attend for economic reasons. The centre’s nature based programme has been successfully running for several years now. The key courses have been the longer retreats such as Meeting the Wild and the Wanderers Retreat both of which have a strong meditative dimension. This year sees the addition of the week long Ecodharma Wildcamp. “The Wildcamp is more of a training than a retreat,” explains Guhyapati. “We really want to equip people with a range of tools that will enable them to develop a life-long practice of deepening nature connection. We are focusing on teaching and training in the ‘core routines’ of nature connection, which include observation skills, tracking, and basic survival bushcraft.” Guhyapati will be joined by Caspar Brown from the Wildfire team, who brings bushcraft and primitive skills speciality, as well as Dharmacharini Subhachitta. If you know anyone who could benefit from this opportunity, application details can be found on the ecodharma bursary page, or they should write to info@ecodharma.com to ask for more information. The deadline this year is April 302014 for courses starting in May 2014.